If you’ve been involved in a car accident, you need to head to a collision repair shop as soon as possible, no matter how minor the damage may seem. At Pfaff Autoworks, we encourage our customers to get a post-accident inspection as soon as possible. With our team of highly trained technicians, and our state of the art machinery and equipment, we can perform auto repair services in a timely manner and have your car returned to you looking like brand new. In this article by Pfaff Autoworks, we will be talking about some of the benefits of professional auto repair. If your vehicle is damaged, you won’t be able to drive it safely until repairs have been made. Securing immediate service means getting back behind the wheel sooner rather than later. Our customers can take advantage of our Express Repair Service. Some insurance providers allow you to add comprehensive or collision coverage to your policy. However, to include this feature, they also require you to keep your vehicle in good condition. You may lose your coverage if you don’t schedule repairs right after an accident. 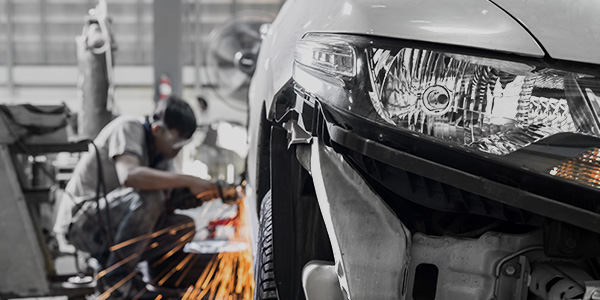 If you wait too long to bring your vehicle to an auto body shop, you could face consequences when dealing with your insurance agency. For example, if the damage doesn’t seem to affect your car’s performance, you might be tempted to keep driving it for a week before scheduling repairs. In this case, the insurance company could argue that some of the damage being repaired occurred in a separate incident. Even seemingly minor auto body damage can loosen mechanical connections inside a vehicle. Failing to schedule immediate auto repair after a collision could result in additional internal damage, or worse, an unexpected breakdown. Getting immediate auto repair after a collision is very important. Nobody wants to drive around a beat up car after they have been involved in an accident. However, if you find yourself in a situation where you are in need of auto repair after a collision, we encourage you to bring your vehicle into Pfaff Autoworks. Click here to find our contact information and to fill out our contact form.